It made a change for me to have decided on where I was heading before I set off, well before in fact. Images from friends of a drake smew at Draycote and velvet scoters at a place called Swithland Reservoir were enough to tempt me away from my usual quest for owls at this time of year, and after reading Dave Hutton's blog about when to try for the scoters, I got up early and headed over to Draycote Water first thing. It was pretty quiet when I arrived, with a few joggers and cyclists starting gingerly out on their circuit of the lake, with me trying my new walking boots out for the first time on a stroll along the path. It was smooth enough to have taken my slippers, to be honest! 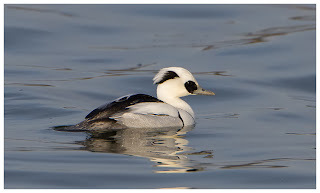 Didn't take long to spot the smew as despite the cloud, it was surprisingly calm up there, and the bird stood out against the water and the group of tufties he was with. 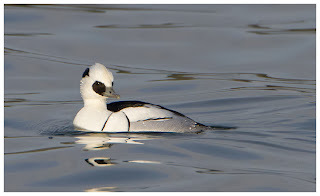 The smew was preening and then fishing, all the while moving along the lake, following the flock, though not too closely. I took a load of shots, but I could see towards the dam, that the clouds had broken, so waited and thankfully the sun eventually came out. With the sun on him he positively glowed. 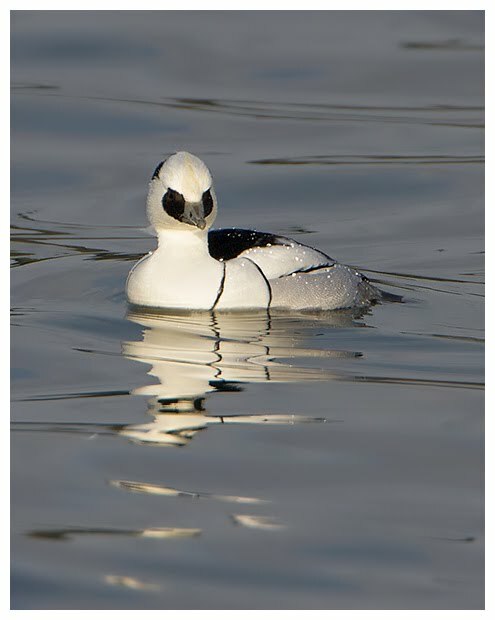 Such a cool-looking bird, with the white and black markings. 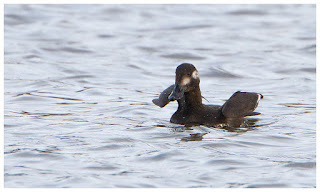 Interesting to watch him dive too, as he seemed to take a breath (opening his beak) before tail down, and dive forwards and under. Caught a few fish when I was watching, though he would turn towards the centre of the lake and away from me to eat the catch. 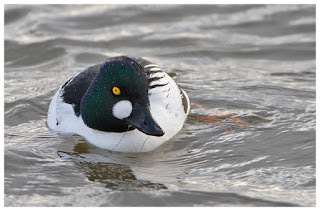 He also took offence to a male goldeneye which surfaced too close, though I missed that scuffle. The female goldeneye wasn't far behind the male and I was just starting to divide my time between the three, when the boats started to sail, and the birds headed further out and down towards the hide end. My cue to leave. SatNav set to Swithland and after a short check on a map, I found my way to the dam at the reservoir. Dave wasn't wrong about the light being awkward, with the sun being in your face from any side which looked over the water. 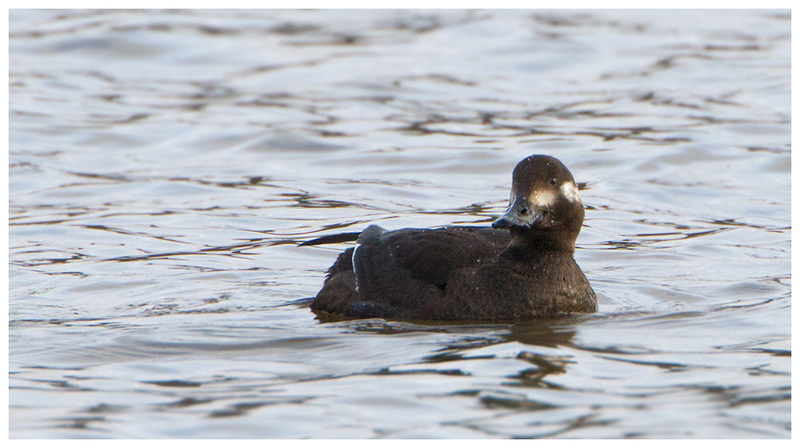 After a chat to a local birder, I located the pair of velvet scoters along the side of the reservoir. Females, and a new species for me. The one bird was fast asleep, bobbing around in circles quite far out, but the other seemed intent on fishing, so I followed that. As is often the case, you take lots of shots in case it never comes closer, but as it does, you know all the previous ones will be binned. As was the case here, as it fished near the overflow area for a while, giving me reasonable views - far closer than before. I think it can out-dive the smew. 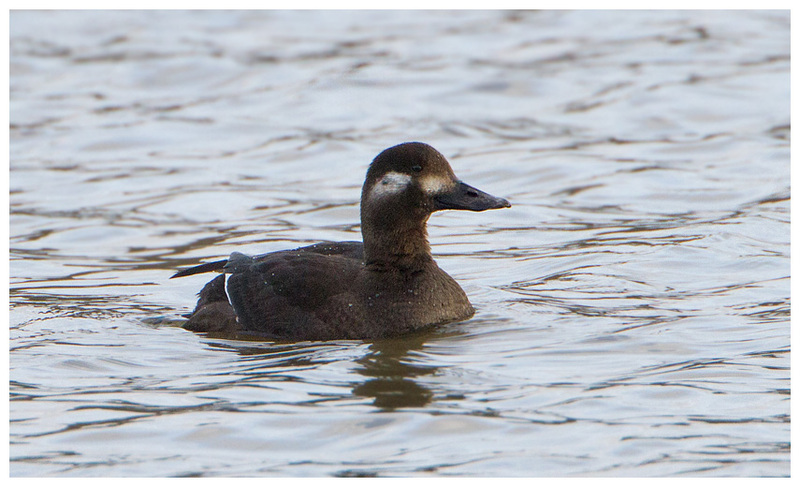 Was down for a good while, though unlike some grebes, this tended to appear close to where it dived. Compared to the smew they're not the most attractive birds, but are a welcome addition to the gallery. 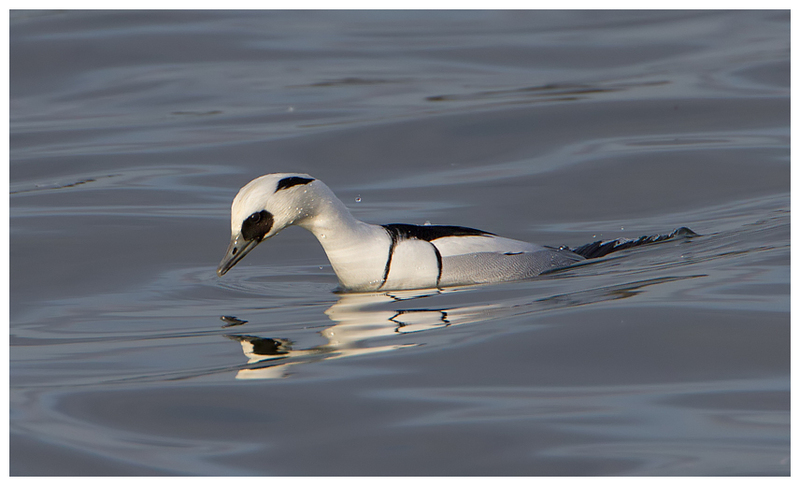 They're also interesting to see how they dive compared to the smew. 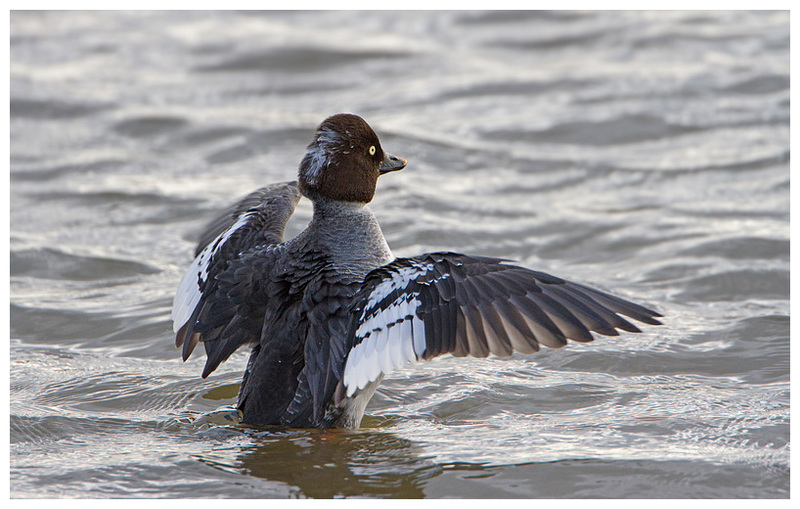 Both birds use their tails to push down and propel themselves up and into a dive, but these open their wings, which makes predicting the action a bit easier. Moving over towards the dam, I drove round and got some more shots of it, closer still. Below me I spotted a pair of goldeneyes also fishing, so I grabbed some frame-fillers of these distinctive birds. Light could have been better, but what am I saying? It wasn't raining so I should be thankful for that! The female was keeping the male close by, though both were fishing constantly. Got a shot of the side of a yellow tanker as it went past, obscuring the buzzard!! 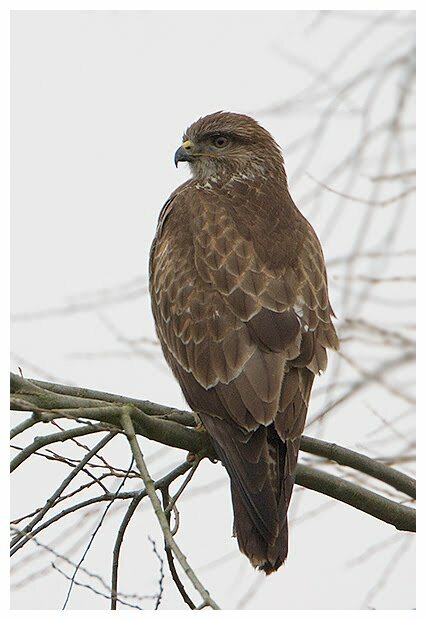 Made a change from the buzzard buzzing off! Thankfully it didn't, and I got a few shots albeit in difficult light. The long-tailed duck was showing, but at a distance according to some friends I bumped into, who'd just been to see it. I changed plans again and headed over to look for the firecrest(s) near Hams Hall. By then though the light was woeful, and after a brief search, the lure of a cup of tea and comfy sofa was too much, so I called it a day. First day of a new year, and I was keen to try to get out after all the rain of late. A slight hangover and dodgy stomach didn't aid a speedy start, though I have been much worse after such celebrations in the past. Having not been there for a while, I thought I'd try Marsh Lane, as reports of a bittern, jack snipe and a brambling had surfaced in recent days. After de-icing the windscreen, I actually remembered to fire up my hand-warmer, and set off, calling in at Little Grump's oak tree on the way. No sign of either of them. In fact, not a great deal around even along the lanes. Reminded me of Mull, when the light was finally available, all the wildlife went into hiding. At Marsh Lane, I trudged through the mud, around the reed bed and stood for about 20 mins, with some other birders, hoping to see the bittern. Reed buntings and wrens, chaffinches and dunnocks, but no sign of the bittern. 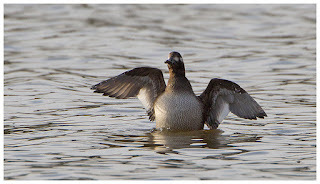 Oh well, off to the Oak Hide where folks had seen both a brambling and the jack snipe. 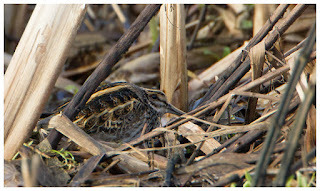 The brambling hadn't been seen for some time according to those already in there, but the jack snipe was sat, bill tucked into its feathers on its back, obscured by some reeds. I could see it well enough, but not much good for a shot. Occasionally it'd stir, bob a few times, and then go back to sleep. Whilst waiting and hoping it would do something other than sleep, I kept a watchful eye on the feeders. 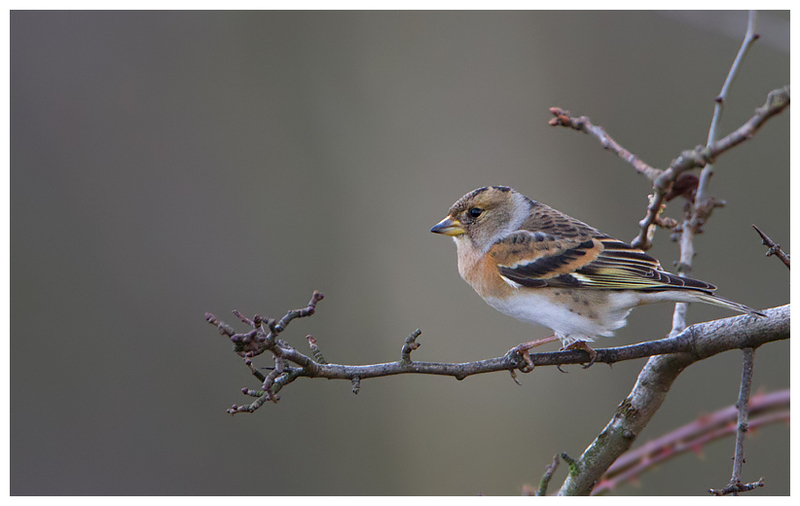 Plenty of finches, but no brambling amongst their numbers. 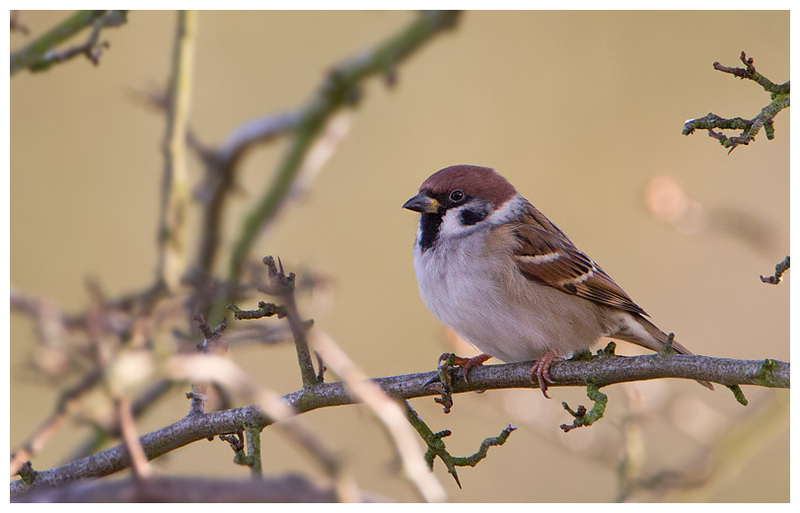 So I was pleased when a tree sparrow turned up. I was less pleased when, after waiting for the tree sparrow to finally hop into view from the oak tree it was hiding in, that one of the birders in the hide decided that was the right time to leave, clattering open the door and scaring off all the feeding birds, including the sparrow. Eventually it returned and I took the first shots of the new year. I suppose the good thing about getting average shots on the first day of the year is that it leaves plenty of room for improvement later in the year! 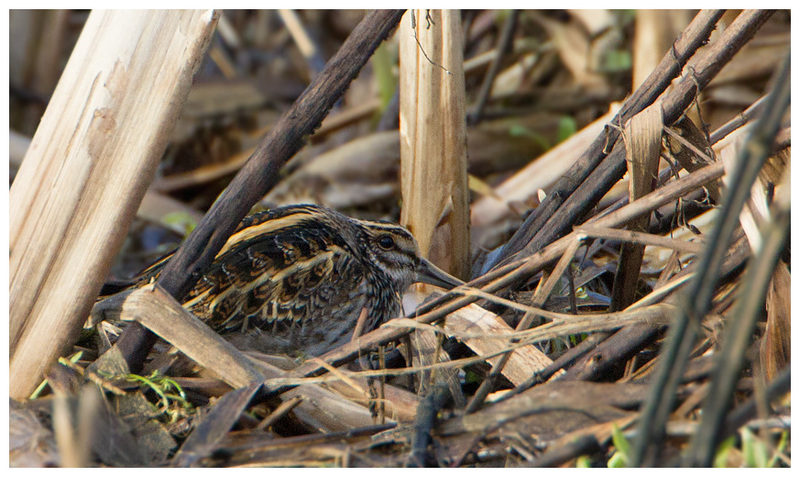 Just after the almost mild excitement of taking a photo on such a lovely day, we spotted the jack snipe moving. Would it come out into the open? No. It moved into a spot that was even more difficult to see it. Swine. Got some shots as it moved, but compared to those I got of one at the North Moors (Upton Warren) these were only ever going to be record shots. Such a shame as the light was there for a change! 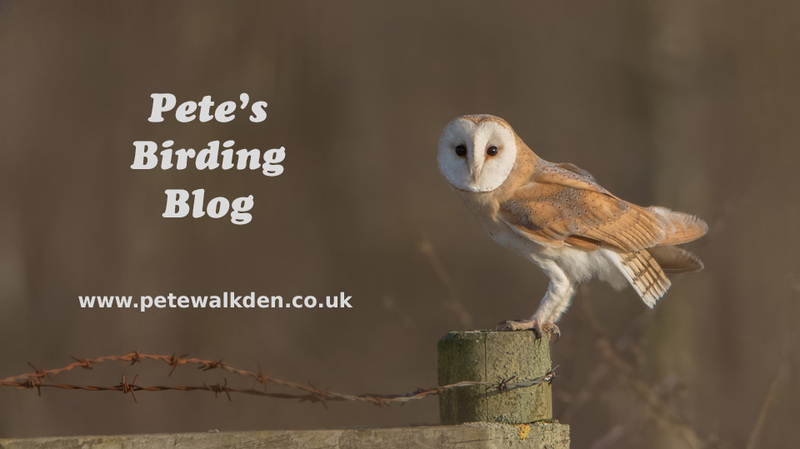 I decided that I would stay ay Marsh Lane - I had previously considered heading down to the Moors for a look, but that would waste valuable time driving and instead, I could be sat freezing in the hide, watching a jack snipe do jack s**t. Which it did. The light started to fade mid afternoon and again I found interest with the feeders. 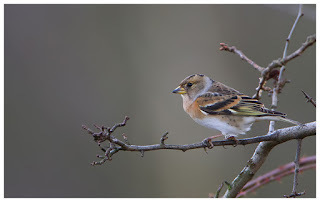 One of the finches looked a bit different... yes, a brambling. The light being low meant high ISO, but I was pleased to see one, let alone get a shot. Sadly the flock were spooked and they flew off to the trees behind, leaving me to watch the jack snipe again. Bored. 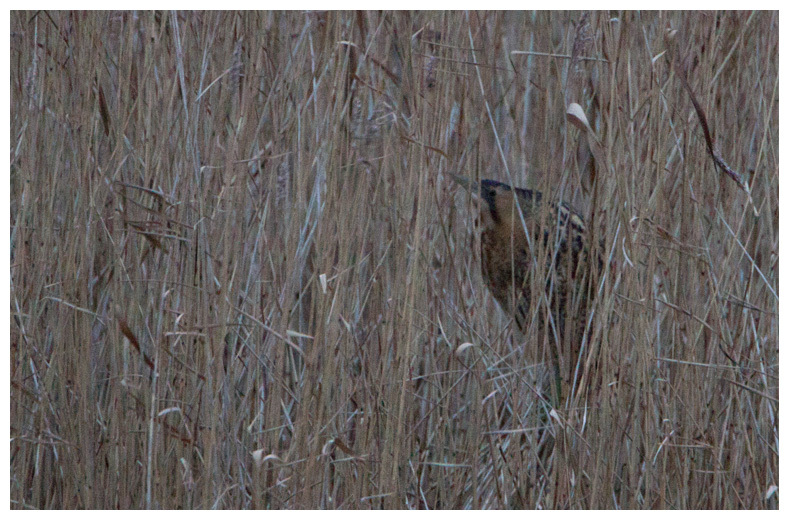 I thought I'd go watch the reeds again, in the hope of seeing the bittern. 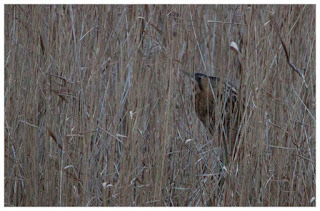 The reed bed was actually in decent light, though the bittern was nowhere to be seen. Thanks to the eagle eye of a fellow 'tog, I did get to see it eventually, but it was so dark by then I was shooting at ISO 3200 and the image below is at best a record shot, and a very grainy one at that. Still, better than a no-show, as the one at UW had done recently. So ended the first day of 2013, and despite actually having decent light, I'd hardly taken a shot. Let's hope things improve for the rest of the year!